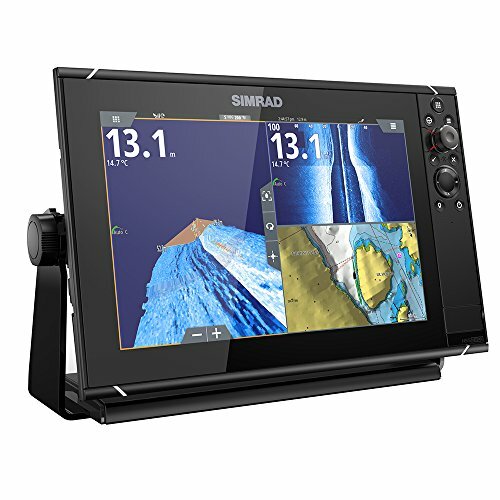 Simrad NSS12 EVO3 Combo MFD With Insight by Simrad at iShare Maps. MPN: 000-13235-001. Hurry! Limited time offer. Offer valid only while supplies last. NSS12 evo3 12'' Chartplotter/Fishfinder MFDNavigate, take control, and enjoy an unprecedented level of built-in functionality with NSS evo3. Navigate, take control, and enjoy an unprecedented level of built-in functionality with NSS evo3. SolarMAX™ HD display technology offers exceptional clarity and ultra-wide viewing angles, combined with an all-weather touchscreen and expanded keypad for total control in all conditions. Cruise confidently with ForwardScan sonar, or fish easier with StructureScan® HD imaging and dual-channel CHIRP-enabled Broadband Sounder technology. Built-in Wi-Fi enables access to GoFree® online services, and delivers smartphone monitoring and tablet control to extend your display's reach well beyond the helm. The NSS12 evo3 features a 12-inch display perfect for centre consoles and other installations where space is at a premium. Includes Insight charts.- 12-inch widescreen SolarMAX™ HD display. Dimensions with brack and knbos: 14.